pen. sword. might. excuse me? Okay. Here are some of the books I’ve read recently. You can check out some of the titles. 1. Omega Minor by Paul Verhaeghen. This is by far, the best book I’ve ever read. I liked it more than Schindler’s List or any other novel on the background of Holocaust. The literature is so strong, it takes you places. The words used in the book compel you to contemplate, give a serious thought to what violence actually is, and how can you find love and life in the simplest of things. On reading something, if something inside you changes, the book more of less serves its purpose. And here, this one did for me. A must read, if you ask me. 2. 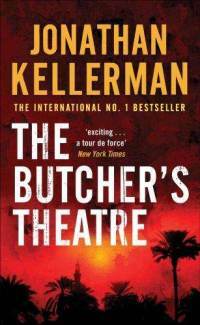 The Butcher’s Theatre by Jonathan Kellerman. Fiction. If you like serial killer stories, this is the one for you. It tries to capture the mind of a psycho, a serial killer who rapes and kills to satisfy his sadistic carnal desires. This book is heavy, mind you, and Kellerman delivers his best in this novel. He allows you to have a look at things form the point of view of the killer, and then a family-loving cop. It’s a thriller, but thankfully, Kellerman is no Dan Brown to (only)focus on adding unnecessary twists. 3. 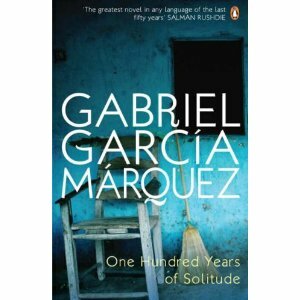 One Hundred Years Of Solitude by Gabriel Garcia Marquez. Fiction. This is the book to read if you like drama and literature and are confident enough of remembering all the million interlinked characters of a single family. This one is a little slow at start, but when you get adjusted to its pace and the things it wants to convey, you would hate to keep it down for a second. It is a classic, and is meant to be read like a classic. period. 4. 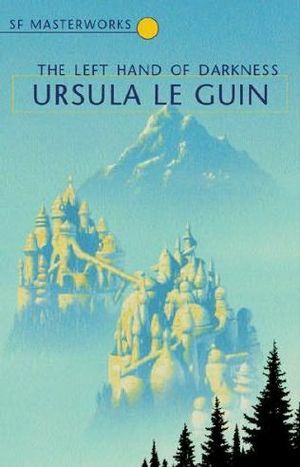 The Left Hand of Darkness by Ursula K. Le Guin. Science-fiction. 5. 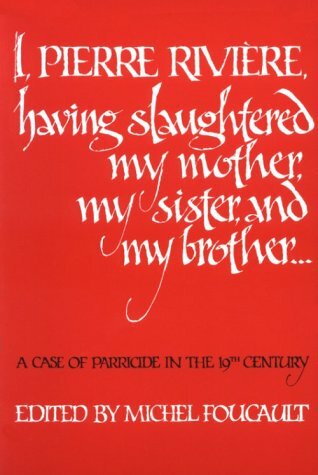 I, Pierre Riviere, having slaughtered my mother, my sister, and my brother by Michel Foucault. Non-fiction. What Foucault has done here is he has written this book as a journal and left it at the reader to impart their own judgement to this man. He has the original notes of the murderer in the book as well as what the newspapers of the time reported, and the court sentences. You can read this if you want to look into the workings of a depraved misguided mind and try to have a glimpse on how it functions. 6. 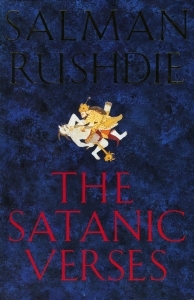 Satanic Verses by Salman Rushdie.